A great way to kick start your morning is a glass of fresh homemade juice or a chilled smoothie. 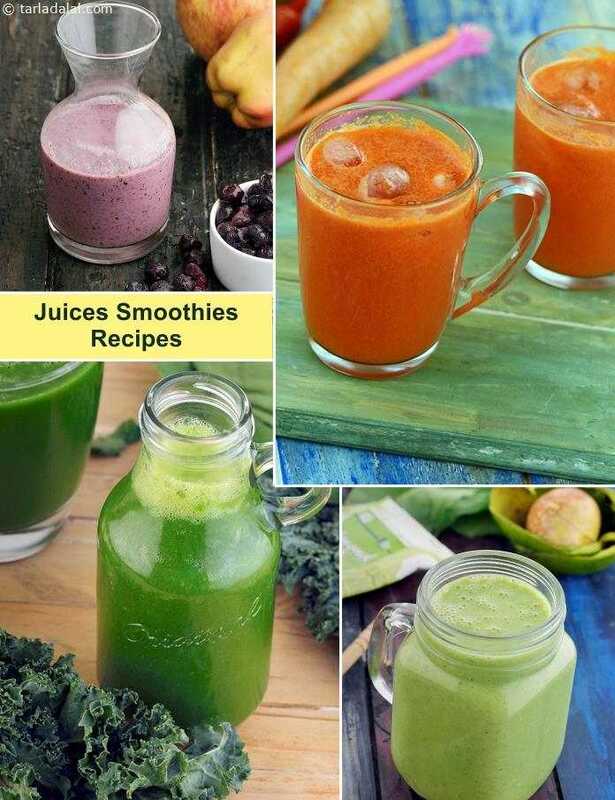 We present you a range of healthy juices and healthy smoothies for Breakfast. Its all about what you put inside the juice or smoothie. We have used the freshest ingredient fruits like Blueberries, Apples, Green Apples, Oranges, Sweet Lime, Strawberries, Papaya, Pear. All these fruits have a low glycemic index. Also use the best quality vegetables like Spinach, Kale, Carrot, Mint. Spinach and Kale are rich in Iron and Fiber while Carrtos are great for the eyes. What we highly recommend is to avoid using sugar and too much of milk. Sugar causes inflammation in the body and stops the fat burning process while milk is hard for most humans to digest. If you have access to fresh Oragnic Milk then its okay. We recommend using homemade Almond Milk in your smoothies as they provide you the protein. Spinach and Mint juice is a cool and healthy cleanser to start your day. There is the anti cancer and anti - infammation Spinach juice. Greens in your juices will provide your daily Vitamin C requirement. For Vegetarians, Almond milk is a blessing as it contains proteins, good for heart and a powerful Anit Oxidant. Try our Saffron Cardamom Almond Milk which has dates as the sweetner. There is also the Chocolate Almond Milk for Vegans. Look up juices for weight loss and Power Juices for Energy and Stamina. This ensures a healthy life style for you. Start being helathy today.